Charged with Minor in Possession in South Carolina? Get help here. Home » What are the Minor in Possession Penalties in South Carolina? The number one drug for use and abuse in the USA is alcohol. Unfortunately, this statistic includes young people. 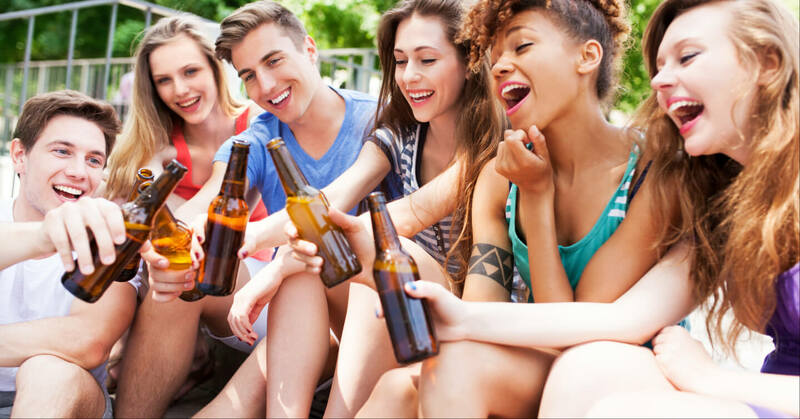 It is illegal for persons under the age of 21 to drink alcohol, and doing so could lead to a minor in possession charge – just one of the ways college students find themselves in trouble. Attempting to buy alcohol, or asking someone else to do so for you could lead to an underage drinking arrest. Adults who buy on your behalf or sales assistants who sell to you can also be arrested. That arrest could then go on to impact your student loans, your place at college and prevent you from getting work once you graduate. Under-age drinking laws and other associated laws are designed to punish those who drink under the age of 21. They are also used to convict those who provide alcohol to minors. There are also related laws which deal with the creation and use of fake ID. The punishment for underage drinking will vary, depending on the age of the minor and whether they were found to be intoxicated (by the legal definition) at the time of their arrest. The penalty for underage drinking could be a MIP fine, a suspension of your driving license, a requirement to take part in an alcohol education program or to do community service. Alcohol laws vary by state. You should not assume that the law of your home state applies during your time in South Carolina. Minors can work in bars or restaurants, and serve or clear alcoholic beverages. However, they cannot mix them, or work as a bartender. If you work as a delivery driver, you can deliver alcohol in unopened containers. Store workers can sell alcohol in unopened containers. If you are enrolled in a culinary program, your instructor is permitted to let you taste, but not consume alcohol. However, it can only be done as part of the curriculum and the alcohol must remain in control of the adult at all times. Law enforcement will occasionally recruit minors to purchase, but not consume, alcohol as they carry out compliance checks on retailers. You must be recruited and authorized by law enforcement. As long as an adult legally purchased the alcohol, a minor may consume it as part of a religious ceremony. The adult will not be convicted of providing alcohol to a minor under these circumstances. Although the laws are state-wide, if you find yourself facing a minor in possession charge it’s advisable to contact a local lawyer. Experience with the local attitudes and procedures is invaluable in navigating the system. If you find yourself in this position, then please don’t hesitate to contact us for advice and assistance 24/7.